On Friday, January 27, Bourgie Nights hosted a launch party for PayforArt.com, a new art-buying platform that helps artists sell more art and helps venues sell art with less hassle. At the launch party, art from 10 local artists were featured on display with listed for sale on PayforArt.com, including artwork from Charlotte Oden, Kelly Sweitzer, and David Mercer, to name a few. Within two hours, 30 pieces of art were sold using PayforArt.com. Step 5: Buyer takes the art home! 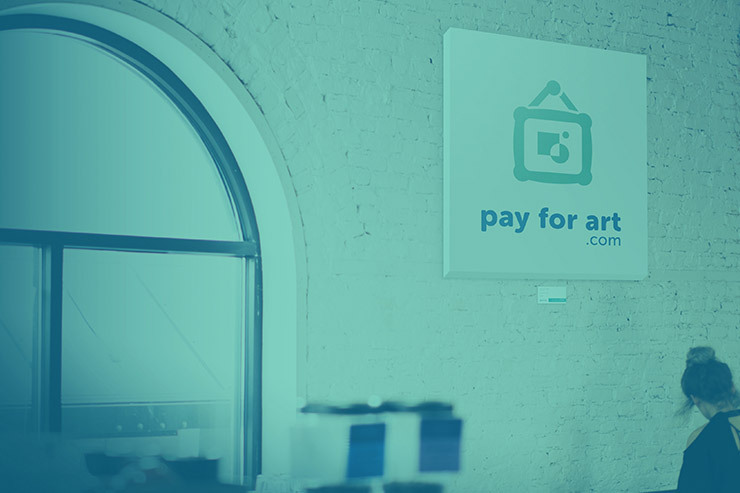 Committed to supporting artists and art venues, PayForArt.com has made connections with numerous venues around the Wilmington area, such as Coastal Cupcakes and Bombers Bev Co., and is interested in signing up more. Interested in selling more art or increasing foot traffic in your business with PayforArt.com? Please contact Andrew Gray or Claire Ashworth. The PayforArt staff is happy to set up pop-up gallery event for interested venues. PayforArt.com is a new art-buying platform that allows users to buy art in coffee shops or galleries using a laptop or mobile phone. The platform help artists sell more art and help venues sell art with less hassle. PayforArt.com is a product of local marketing and technology firm, TAYLOE/GRAY. For more information, visit www.payforart.com. TAYLOE/GRAY is a full-service digital marketing and technology firm located in Downtown Wilmington, NC, and is ranked the #1 Advertising and PR firm in the Wilmington Business Journal’s 2016 Book on Business. Founded in 2009, the company builds smart digital solutions that position clients as leaders in their industries. For more information, visit www.tayloegray.com. This entry was posted in Advertising, Branding, Design, eCommerce, Email Marketing, Events, Featured, General, Press Releases, Programming, SEO, Social Media, TG News and tagged . Bookmark the permalink.